You generate data whenever you interact with technology, whether you’re buying a pizza or posting a picture of it on Instagram. We can teach you how to turn information into knowledge that improves lives, and prepare you for an in-demand, technology-based career. 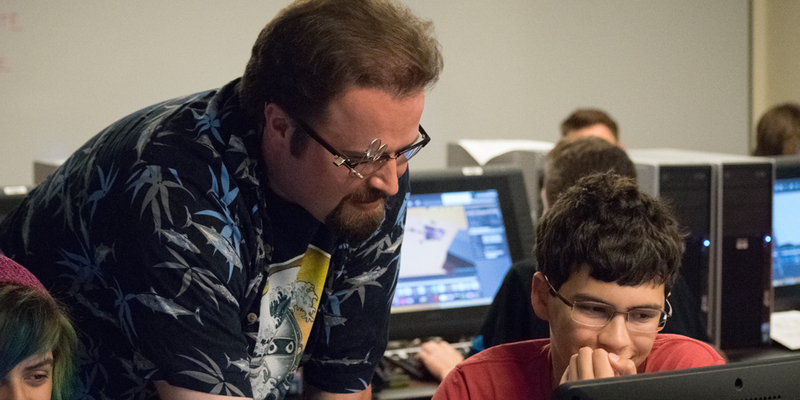 The IU School of Informatics and Computing at IUPUI was the first of its kind in the United States, and our transformative work continues in media arts, data analysis, and health information management. We have undergraduate degrees and certificates in those fields and more—plus outstanding faculty and staff, facilities, and equipment—to help you explore and develop your talents. Our programs reflect the myriad ways informatics combines with sectors from industrial design and medical research to virtual reality and serious gaming. You can be an agent for positive change and have a fulfilling future, whether you create 3-D animation and prosthetics, build security systems to protect patient data, produce video documentaries, or archive historical documents. Earn both a bachelor’s and master’s in five years through our Accelerated Bachelor’s and Master’s Degree Program. Informatics and computing professionals are in constant demand. Employers are seeking graduates with the highest qualifications and skill sets to emerge as tomorrow’s technology leaders. Immerse yourself in emerging technology. 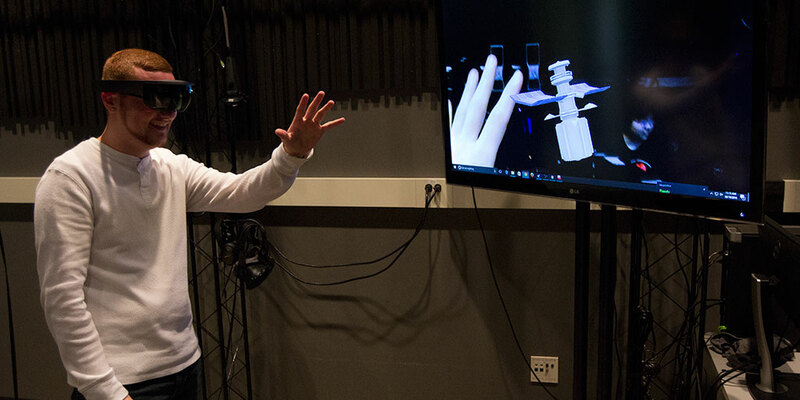 At the School of Informatics and Computing, our Advanced Visualization Lab, as well as the green screen room, 3-D printing center, professional recording studio, Media Arts Research and Learning Arcade, and other facilities, help students bring their ideas to life. You’ll utilize the same video and sound equipment, imaging technology, and virtual and augmented reality tools that the pros use. With their experience and connections to industry, our faculty can help you to channel your talents and realize your dreams. And resources such as our Industry Lecture Series offer students unprecedented access to those working with Human-Computer Interaction, the Internet of Things, and more. Our urban campus in the vibrant heart of Indianapolis is ideally placed for both newcomers and local residents, with easy access to housing, shopping, transportation, dining, and entertainment. A campus with a strong health care focus, IUPUI is at the center of biological science research. You’ll have the chance to apply your skills working side-by-side with faculty conducting innovative research. Our research campus and study abroad program offer many opportunities to put your degree to work and gain practical experience before you even graduate. Share your experiences, learn from others, and discover who you are and what drives you by participating in a wide spectrum of informatics and computing-related student groups. Live on campus in the School of Informatics Community in North Hall—a cohort of students with common interests—and enjoy perks like early registration, tutoring, and social activities. We offer scholarships for new and transfer students and tuition reduction through the Midwest Student Exchange Program, as well as scholarships for current students. Specifically for informatics majors, the Leading Informatics for Tomorrow (LiFT) Scholars program is funded by the National Science Foundation. When combined with other student and federal aid, it allows recipients to complete their degrees with limited or no educational debt.